Well, this time I’m handing over the reins to the really rather knowledgeable Helen Davies. I’ll save chapter and verse about her for a “My Heroes” post but suffice to say, this lady knows her stuff when it comes to selecting your wedding venue and planning your wedding. 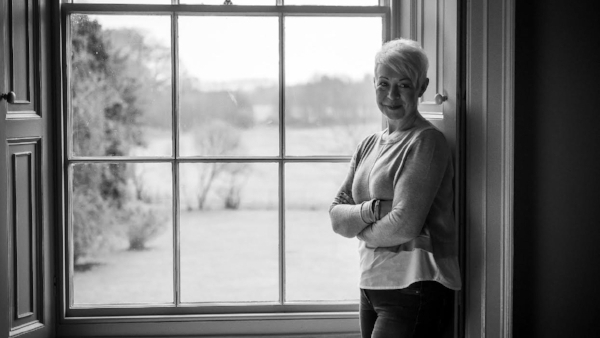 She is the resident weddings and events expert at the prestigious Rise Hall (probably known to many of you as Sarah Beeny’s place from the Channel 4 series, Restoration nightmare). During her years living and breathing weddings at Rise and in her alter ego wedding planning guise as the Wedding Concierge, Helen has seen it all, so who better to proffer advice? Some of her advice will inevitably be Rise related but the wisdom is universal, at which point, I’ll invite Helen to take the floor. “Where shall we get married and have our reception?" This is the first question any bride and groom usually ask and the answer will vary widely couple by couple. Choosing a venue for your dream day can be problematic, not least because there are so many options available. Whether it’s to be a hotel, banqueting suite, village hall, stately home, sports club, marquee, castle, church, beech, barn or tee pee, is entirely up to you. But where do you start? As an Independent Wedding Planner, I had seen them all. I have worked in some of the finest hotels, majestic marquees and far flung barns. When I was approached about taking over the management of Rise Hall what really inspired me about it was the fact that here, couples were offered the freedom and flexibility to create precisely the experience they wanted to have. If I had a penny for each time I heard that! Don’t worry, you can avoid the overwhelm and stress! How? There are many ways but the main one I’d recommend developing a good relationship with a planner who will be there with you on the day and in whom you can have confidence to see that all your plans and expectations are delivered perfectly. Key to this is continuity throughout the planning process. All too often I hear horror stories about the lack of communication that can occur when a seemingly competent wedding co-ordinator, whose job is to sell the venue, hands over to a 'duty manager' on the day. Unless your brief is crystal clear, through no fault of your own, the service you will ultimately receive is likely to fall short of your expectations. Keeping things personal and unique for your special day is a must. You’ll see mountains of inspiration on Pinterest, in magazines, on blogs, Instagram, in fact wherever you turn. These ideas are all great and many are worth pinching and personalising to you. Take for example the firmly established trend of personalised table names, for example names of cities that you’ve been to. It’s a lovely idea but many miss the final step in personalisation, by failing to recognise that the devil is in the detail. Don’t just call a table “York”, add a little description to explain that this is where you first met each other, had your first kiss or where he proposed. It is your day and you should embrace every available opportunity, no matter how insignificant it may seem, to share your love story. What do I mean by that? It's simple really. Involving those who are closest to you and know you well in creating something as special and as memorable as your wedding day not only pays them a great compliment, but also ensures you don't miss a trick. Why is the Rise Hall experience special? I’m not going to pass up this opportunity to tell you what makes this venue so unique and appealing. If you choose to hire Rise Hall for your wedding or indeed any celebration the entire venue and its grounds becomes exclusively yours for the duration of your stay. From the moment you arrive via the sweeping carriage driveway you will receive an incredibly warm welcome and will be encouraged to make yourselves at home. Although the house is grand, it is far from stuffy or pretentious. Above all, it is a place where everyone is encouraged to relax, have fun and just be themselves. Well I’d like to say a big thank you to Helen for that! I’m sure she’ll be back with more top tips and I’ll be back to tell you more about her too in due course.